make up as a choice rather than a necessity. Ideal way to refresh your skin for low maintenance ladies & women on the go. 30 min. facial includes cleanse, steam exfoliation, custom mask, moisturizer. No massage frills, just a good deep cleanse & exfoliation to relax. Add a 30 minute Swedish Massage for $30. Add a 60 minute Jin Shin Massage for $55. Turn your facial into a relaxation retreat. Your licensed esthetician is also a licensed massage therapist. skin type custom mask & moisturizer. 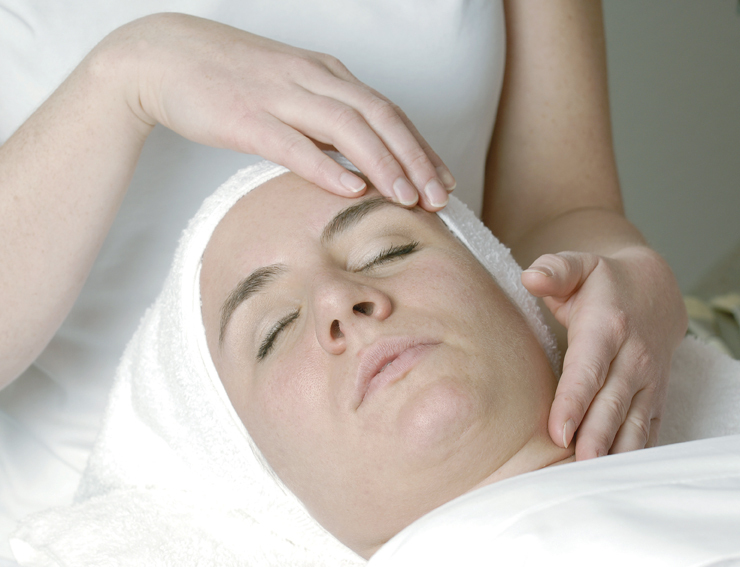 Fire House Rescue Facial – 1 hour treatment designed to reduce redness & sooth sensitive skin as you relax. who wish to trade in scaly skin for soft suede. Enjoy your 1 hour escape to relax! products chosen for your cleanser, etc. Flaxx-C firming mask is the difference in this anti-aging facial. Add an optional anti-aging V-Neck firming mask for $10. V-neck treatment also extends your cleanse & exfoliation to your neck & decollete area before the specialized firming mask. Add a V-Neck treatment to ANY facial. Oil Slick Control Facial – (1 hour) Stop feeling a need to call the EPA every time you look in the mirror! Overcome oily skin. Relax & refresh your mind! Acne Facial (1 hour) – Sooth & reduce acne eruptions with a deep cleanse, steam exfoliation, galvanic power treatment, extractions as needed, amino mask, Tanda’s light & ultrasonic therapy & an oil free moisturizer. No combining new client facial special with other coupons or discounts. & skin type specific moisturizer. No massage frills included during a Perfect Petite Peel. You must be willing to use sunscreen daily if you choose a peel. $79 Snake Molt Facial (1 hour) – Economical alternative to microdermabrasion. Expect the same results. Experience softer skin texture. Smooth away fine lines & reduce wrinkles! Best choice if treating age spots is your goal. Most aggressive anti-aging facial choice. Neck & shoulder massage is included in this facial. The double exfoliation reduces the chance of peeling after a chemical peel. It also leaves you with very smooth, soft skin. or spend a significant amount of time in the sun. Livable, Loveable Skin for Life! Ask me how to get the most from your facial with a Bioelements home care plan.